The biggest Broome attractions are of course the wonderful Broome beaches. Cable Beach is the most famous, though not necessarily the most beautiful! I write a lot about the beaches in and near Broome on other pages, so on this page I will just talk about the other attractions in Broome itself. Broome in Western Australia is not big, and many of Broome's attractions are clustered in one area. So even if you are in a hurry you can see a lot in a single day. 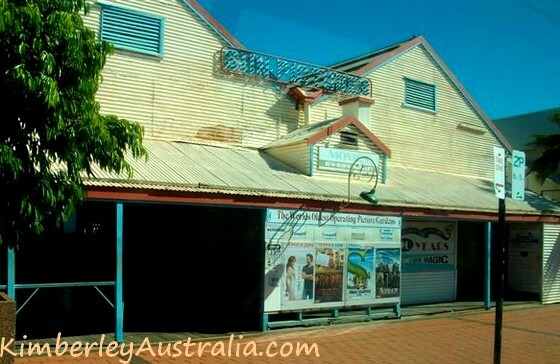 The best place to start is the Broome Visitor Centre Hamersley Street. While you can't expect to get detailed and personalised advice there (they are far too busy in the tourist season) they will give you street maps and information materials. 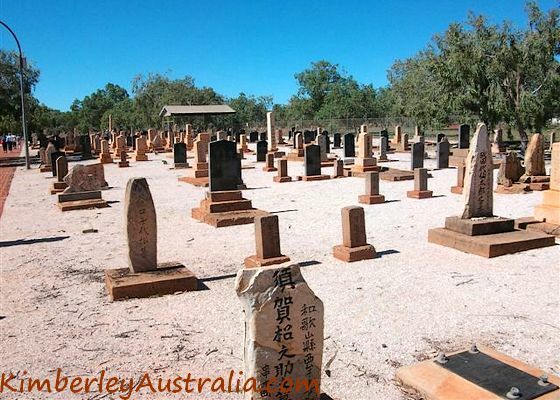 Ask about the Broome Heritage Trail to do a self guided walk taking in all the historical and cultural attractions. 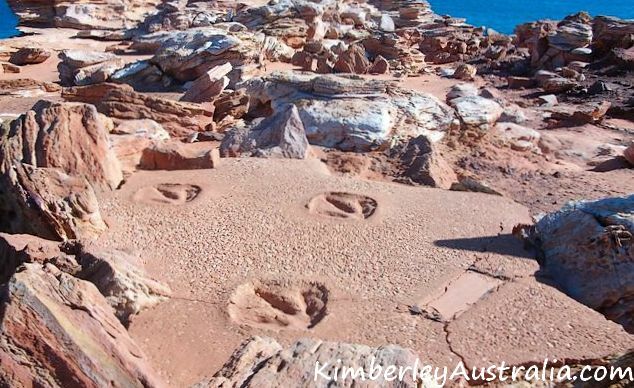 Alternatively enquire about the Broome Historical Walking Tour. Grab the town bus if you don't have a vehicle to get around Broome. The information materials you are given at the Visitor Centre will have information about the town bus service. Buses run hourly. The visitor centre materials also include a tide chart. As you will see below, tides are important to view some of Broome's attractions. Chinatown with its unusual mix of Colonial and Asian architecture is a reminder of Broome's history. The original commercial and industrial centre of the town was once busy with pearl sheds, billiard saloons, entertainment houses and Chinese eateries. 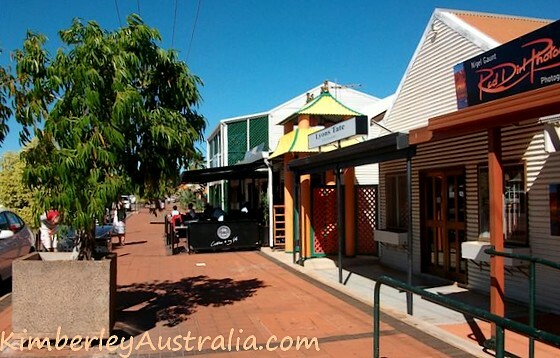 Today Chinatown is Broome's main shopping district. The first thing you will probably notice are the souvenir shops, hawking the usual stuff, but just try to look past that. There is a lot to discover in Chinatown. To start with you can find some of the world's finest pearl showrooms here, lots and lots of them to be precise. Even if you aren't here to buy pearls you will enjoy browsing the different shops. A more affordable alternative is the Shell House in Carnarvon Street. The Shell House started out as a private collection of an unbelievable variety of shells that the lady who owned it made accessible to the public. She eventually sold the house and her license (you need a license to collect live shells). The place now has its third owner and has expanded to include shell products, pearls and other souvenirs. It's where all the locals buy and do their Christmas shopping etc. 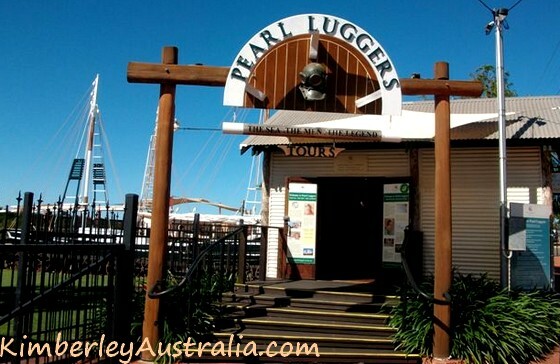 At Pearl Luggers on Dampier Terrace you can tour some dry docked and restored luggers, learn more about the pearling history, watch a demonstration of the old diving gear and even get a taste of the pearl meat. Look also for the Old Pearlers Quarters (restored and heritage listed) and the Streeter's Jetty (the original jetty for Broome based pearl luggers). 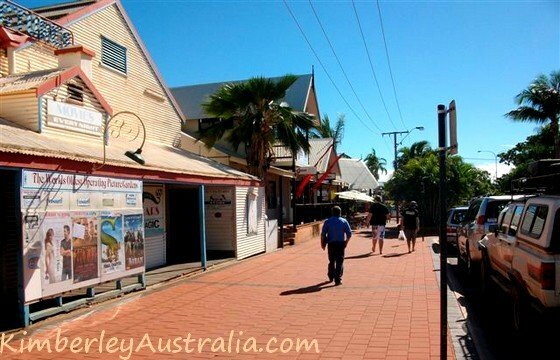 Another good place to find out more about Broome's fascinating history is Johnny Chi Lane, a small mall that connects Carnarvon Street with Dampier Terrace. On the walls of the shops there you find descriptions and stories of Broome's early days. There are 20 of them all up, starting at the Carnarvon Street end. 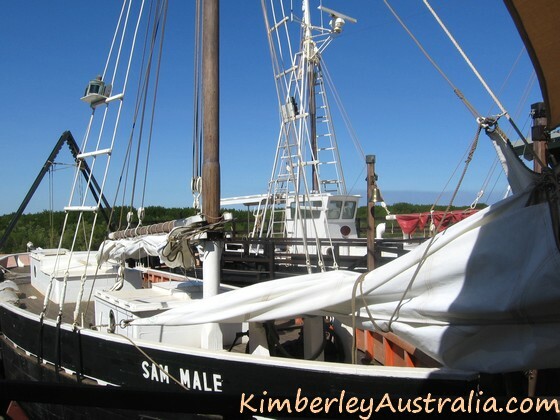 The stories take you all the way from the days when the first ships landed in Broome, Western Australia, through the whole history of the pearling industry and all its ups and downs, the second world war, to the advent of tourism and present day Broome. A great read and an hour will have passed before you know... Try the Shady Lane Cafe if you're hungry now. Yummy food and huge servings. There's another Broome attraction that has its home in Johnny Chi Lane: the Chinatown markets are held here on Sundays (dry season). 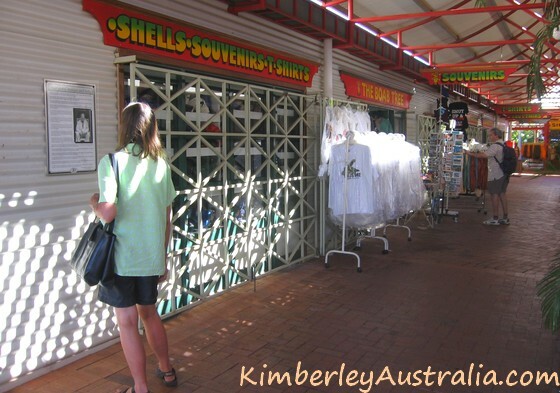 The other markets in Broome are the Courthouse markets. Held every Saturday (Cnr Frederick and Hamersley St.) these are the largest art and craft markets in the Kimberley and you get music and food thrown in as well. The Courthouse with its distinctive Broome style architecture and gardens is a Broome attraction in itself. It began its life as the Cable House, enabling communication with the rest of the world. I write more about those days on the Broome history page. You can also learn a lot more about Broome's history at the excellent Broome Museum in Robinson Street. A great place to dwelve into the recent Aboriginal history of the region is the Relationships Exhibition at the Broome Heritage Centre in the Old Convent. If you have the time, then an evening kicking back in the green and white striped deck chairs at Sun Pictures in Carnarvon Street is a must. The Guinness record holder as the world's oldest operating open-air movie theatre (built in 1916) shows current movies on seven nights a week during the dry season. Town beach is one of the places to watch the Staircase to the Moon, a natural phenomenon where the full moon light is reflecting of the mud flats of Roebuck Bay at low tide. Staircase markets are held at the beach, too. Monthly, obviously, to coincide with the Staircase to the Moon. Another Broome attraction at Town Beach is the Flying Boat Wreck, one of the flying boats that was lost in the March 1942 Japanese air raid of Broome. The wreck can only be seen at very low tide. The Broome Golf Club is out here, and so is the Hovercraft Base (the Broome hovercraft is the only commercial hovercraft in Australasia) and the Deep Water Jetty (good for fishing and there are two boat ramps here, too). 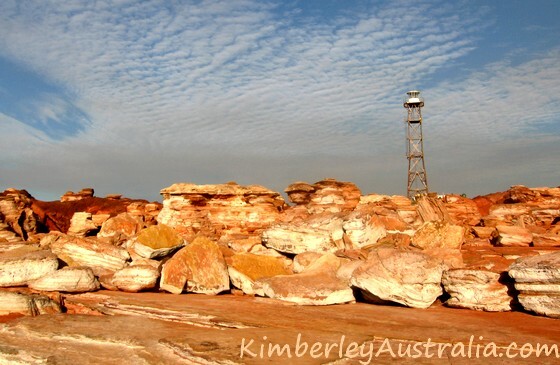 A well known Broome attraction is Riddell Beach, a spectacularly scenic stretch of beach backed by red pindan cliffs. Many locals come down here in the afternoons with their dogs, and the nearby Wharf restaurant has excellent and affordable seafood. Gantheaume Point has some amazing rock formations and colours, good for taking photographs. You find the lighthouse here, and Anastasia's Pool. Anastasia's Pool is a small pool in the rocks that the former lighthouse keeper made for his arthritic wife. The high tide would fill the pool and she would exercise her limbs in it. 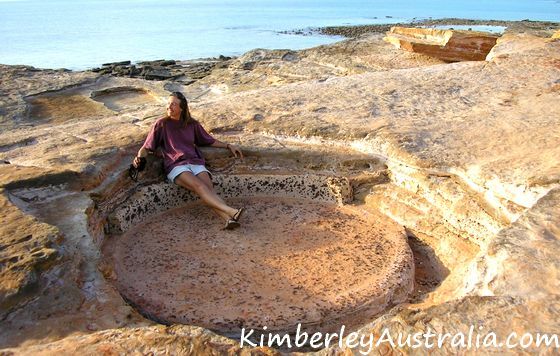 I write about Cable Beach on another page, but one Broome attraction in the Cable Beach area that I don't mention there is the Broome Crocodile Park. It was established by Malcolm Douglas in 1983 and is a good place to become acquainted with our crocs. These Broome attractions should keep you busy for a few days, and I hope you will enjoy it. However, as with any popular spot you might find that at the peak of the tourist season there are... well... a lot of tourists in town. 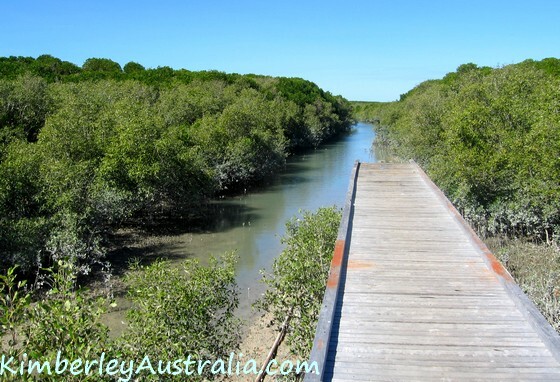 If you are not much into crowds check out the index of Broome, Australia articles. There are many more Broome attractions, a bit out of town, where you can get away from the masses.